Leonard Andrew Warholic, 77, Eynon, went to the Lord on Saturday morning, at Hospice of the Sacred Heart, Dunmore, with his beloved family by his side. His wife of 52 years is the former Vienna Hartman Kline. Born January 15, 1941, in Peckville, he was the son of Helen Ruziskey Warholic, Waymart, and the late George A. Warholic. Leonard was raised in Sturges, and was a graduate of the Scranton Preparatory School, class of 1958. After high school, he attended the Philadelphia College of Pharmacy and Science (PCPS). While at PCPS, he was a member of the Kappa Psi Pharmaceutical Fraternity. After graduation, he began his career as a pharmacist with Rea and Derrick. Before retirement, he spent most of his professional career as a pharmacist with Mid-Valley Hospital, where he was Director of Pharmacy. He was a member of the Pennsylvania Pharmacists Association, as well as the Lackawanna County Pharmacy Association, where he was a past treasurer. Leonard was a member of the Sacred Heart of Jesus Parish, Peckville. 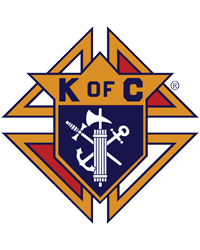 He was also a 4th Degree Member of the Jessup Knights of Columbus. He was an avid fan of the Dallas Cowboys, he enjoyed taking summer vacations to Cape May, NJ with his family, and he enjoyed watching westerns, as well as listening to and watching the polkas. He also enjoyed a good round of golf, being a past member of the Jessup Golf League. Also surviving are his sons, David and wife Paula Warholic, Souderton, and Philip Warholic, Mechanicsburg; his granddaughter, Danielle Warholic, Souderton; his grandson, Michael Wood, Endicott, NY; his sister, Patricia Warholic, Jermyn; and several aunts and cousins. 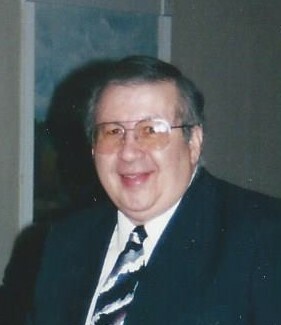 Arrangements have been entrusted to the Louis J. Rapoch Funeral Home, 420 Church Street, Archbald, where family will receive friends on Tuesday, from 5-8 p.m. Mass of Christian Burial will be celebrated Wednesday morning, 9:30 a.m., at Sacred Heart of Jesus Church, 1101 Willow St., Peckville. Interment will be at the convenience of the family.